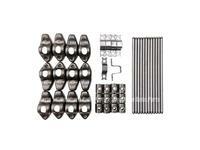 All Howards Cams use the highest-grade race quality billets available. All hydraulic and mechanical Howards Cams flat tappet camshafts are 100% Rockwell checked and Parkerized to ensure the highest quality control standards available anywhere. 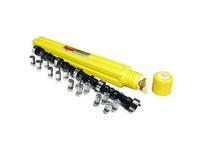 Howard's Camshaft Kits, Chevy SB are manufactured on dedicated high precision cam grinding machines. All Howards™ Cams are packaged and shipped in there unique, hard, high impact plastic reusable cases. This ensures that the high quality camshaft that went into the case comes out in the same condition, when delivered, as when it was packed. Max Efficiency Cams - Low-end torque and good mileage cams. Computer friendly high vacuum grinds. Smooth idle with superior drivability and economy. Max Effort Cams - Race only profiles. Computer designed, dyno and track proven to produce the highest horsepower and torque for a given engine combination. 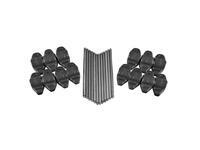 Howards™ Cams has numerous profiles available. 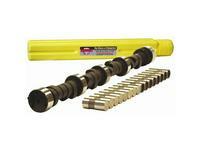 Max Marine Cams - Marine camshafts can vary greatly depending on a wide range of applications. Exhaust systems, drives, ratios, intake systems, hull weights, designs and usage all make cam selection very important. Howards™ Cams supplies camshafts for entry level MerCruisers® to 900 SCs, as well as jet boats, V drives and blown hydros.